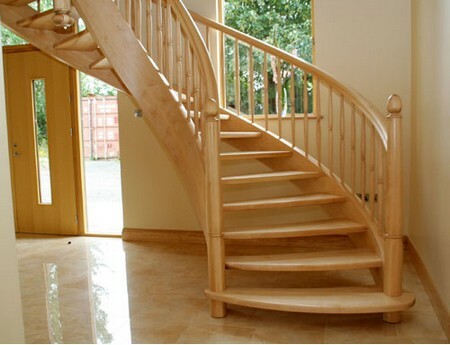 Building a set of stairs isn’t as difficult as it may sound. The builder does need basic math skills and a good set of hand tools. 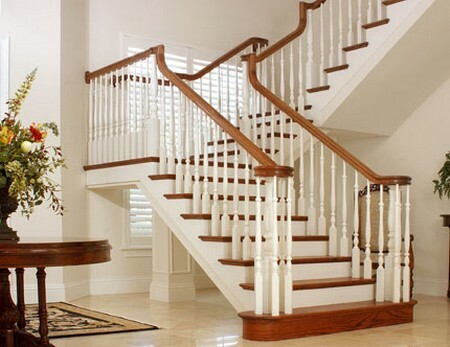 It is easy to find a set of plans for several different kinds of stairs online and having a set of plans will speed your work up considerably. To build a stair the first thing you need to know is how many stairs will be needed to get you to the top. Use a tape measure to get you height from the ground to the level you want to reach. Assume the hypothetical (insert your own measurements) measurements of 96”. Take that number and divide by 7 (typical rise). The total comes to 13.7 and since you cannot divide 13.7 into 8 rounds off to the next whole number, which is 12. This will give you 14 steps. Now take the 14 and divide it into the height, which gives you your rise. That is the number of treads you will need to cut. When you divide 6.86 into 75 this will give you 6.86 and a run of 10.93. Lay out your stringers with framing square. This is a fairly simple job once you realize that you start with the rise on the bottom and end with the run at the top. Homeline.com gives a really good explanation of this process. Cut your stringers out with a handsaw or circular saw. If you use a circular saw you might need the handsaw to reach the corners. Set the first stringer into place, mark the spot and then use it to mark the spots for the other stringers and cut them to shape. Install a stringer every 16” along the width of the stairway. Set the bottom of your stringers on a cement footing which is level with the stingers. It can either be a poured cement base or preformed cement slab. Time to install the treads. You already know the width of the treads from the building of the stringers. Two 2” x 6”´s will work well or you can even use come decking boards. Cut the treads to the desired length and attach them to the stringers using galvanized decking screws. Your stairs are ready to use. Make sure to clear all building projects with your local building inspectors and have the necessary permits.